In today’s fast-evolving digital world, an entrepreneur’s success is purely defined on the basis of how he is able to cope up with changes in the technological trends? The evolved world has brought about the best adaptations towards the meticulous communication system which happens in every business enterprises across the landscapes. VRS Technology as a technical partner has constantly updated themselves in regards to nurturing a wide range of PABX installation in Dubai, UAE. VOIP Technology has always been instrumental in enhancing your communication with PABX (Private Automated Branch Exchange) system as a part of the service offerings from VRS. We have been able to provide a plethora of advanced telephone systems which includes the Panasonic, Avaya, Ericsson & few more. VRS Technologies provide highly reliable and trusted PABX (Private Automated Branch Exchange) systems in Dubai, UAE for your improved corporate and telecommunication business. 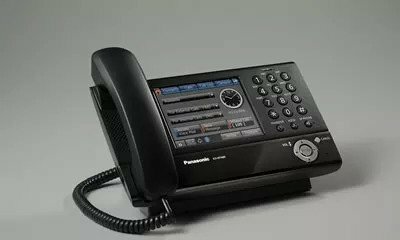 In addition to the above mentioned series, we do have a hybrid variety of PBX-The Panasonic KX-TES824-hybrid range PBX. The TDA range of PABX telephone system has been proven to facilitate the communication systems for large enterprises. KX-TDA 100 integrates and enhances the functionalities of a PBX by bringing an advanced technology of IP over the telephone system. KX-TDA 200 has been one of the hybrid ranges of IP-enabled PBX series of the telephone system and much similar to the KX-100 range. The KX-TDA 200 could gain a constant change accordingly to the future requirements. We also have the Panasonic KX-TES824-hybrid PBX series, which is an amazing communication system for SME’s (The small and medium scale enterprises across Dubai, UAE). VRS Technology is partnered with Panasonic, Avaya and Ericsson. We take our pride in being the authorized dealer for Panasonic; we are exclusively offering range of Panasonic PABX series in Dubai, UAE at affordable prices. We persistently strive hard to enhance the productivity through a fabulous communication system both internally and externally. Along with the product sales, we have an exclusive product support team for post-sales support. It comes with email integration, voice mail and auto attendant. The device comes with 12 lines with 28 phones for Panasonic KX-100, 46 lines by 48 phones for Panasonic KX-200. The KX-TES824-hybrid PBX is the most affordable and apt communication system which suits the SME’s which comprises of less than 24 employees. The phone comes with 8 lines and 24 extensions. The phone accommodates caller ID, welcome message, voice recording are few examples of the options for customizations. Contrary to this, VRS also supports the Avaya and LG Ericsson PABX which enhances the corporate and business communications. Video collaboration solutions for IP office. The phone becomes very handy towards its administration. The phone is highly scalable and also flexible. If you are looking out to enhance the communication system in your office to perform your day-to-day communication and the networking needs. Please get in touch with us or call us at +971-55-5182748 / 04-3866001. 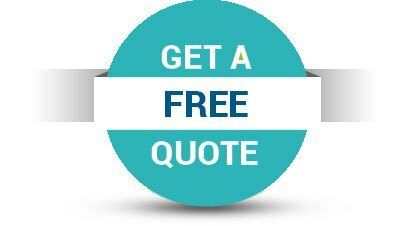 Our expert consultation team would get in touch with you instantly.